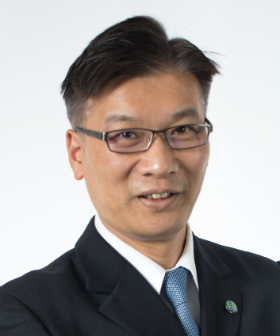 As the General Manager, Hybrid IT & Presales, Hong Kong & Macau of Hewlett Packard Enterprise, Vincent Kwok is responsible for managing pre-sales, the consulting practice and professional services in the Hong Kong market. Joining EMC Hong Kong in 2001, Kwok brought with him extensive knowledge in IT infrastructure gained in leading IT companies. Kwok leads a team of technology professionals to help EMC customers to select, architect, plan, implement and manage the most appropriate and trusted information infrastructure solutions. Kwok is also a high-end storage system expert, and has led several large scale deployments in the financial services and telecommunications sectors. Prior to EMC, Kwok has had vast experience in business development, product marketing and customer support. He has more than 20 years of business and technical experience in the IT industry, and a proven track record of excellence in leadership by gaining mindshare of customers and partners through working closely with them. Kwok is also a regular speaker at a wide range of industry events, covering many aspects of IT, including Cloud Computing and Big Data. Kwok holds a bachelor’s and a master’s degree in Electrical Engineering from the University of Toronto. He is also a qualified Professional Engineer in Canada.